and Deputy Director of the NICM integrative medicine research institute at Western Sydney University. He holds an NHMRC Clinical Research Fellowship, in addition to an honorary position at the University of Melbourne, Department of Psychiatry as a Principal Research Fellow. Jerome moved from clinical practice as a Naturopath, Nutritionist, and Acupuncturist to academic work, and completed a doctorate at the field of psychiatry. He has a particular interest in anxiety and mood disorder research pertaining to integrative medicine, nutraceutical psychopharmacology and psychotropic plant medicines (including kava and medicinal cannabis), and lifestyle medicine. His research also utilises genomic technology to examine the pharmacogenomics of individual responses to nutraceuticals in the treatment of psychiatric disorders. Professor Sarris has over 135 publications and has published in many eminent journals in the field including The American Journal of Psychiatry, Lancet Psychiatry, JAMA Psychiatry, and World Psychiatry. 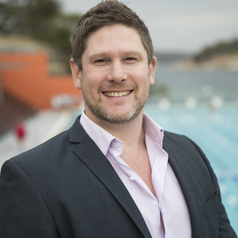 He is currently involved in over a dozen clinical trials in the area of mental health, being Chief-Investigator A on 3 recent multicentre NHMRC Project Grants in the field. Jerome was a founding Vice Chair of The International Network of Integrative Mental Health & an Executive Committee Member of the International Society of Nutritional Psychiatry Research.